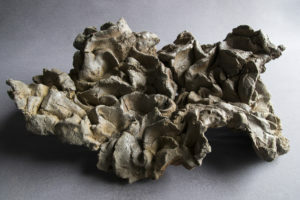 James Harris Gallery | "Taking Form: Quality in Clay"
"Taking Form: Quality in Clay"
James Harris Gallery is pleased to present a group show of ceramics works entitled, Taking Form: Quality in Clay, curated by Julia Wright. 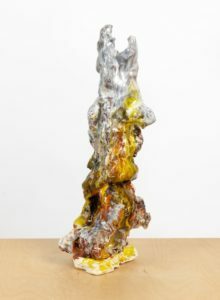 The show features six artists who approach the medium from a sculptural perspective, offering a new vernacular and a theoretical framework for ceramics through their honest treatment of this plastic material. 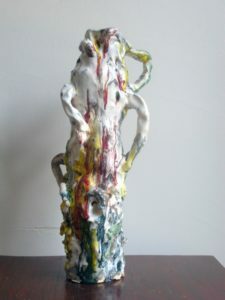 While their practices are varied, there is a shared emphasis on the sculptural process of taking form and how the medium’s unique qualities help to inform this event. The result is non-figurative abstract works that reveal something about the potential of this material as well as the nature of the artistic interaction. 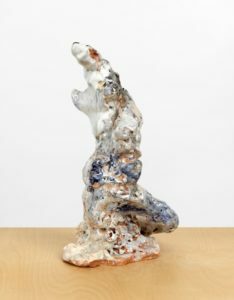 This exhibition explores this quality through distinct artistic practices in attempt to re-qualify the ceramic medium under new methodological terms that put ceramics into a dialogue with contemporary sculpture and process-based art practices. Historically, ceramics have been confined to the decorative arts, pushed to the outside of critical and art historical debates. 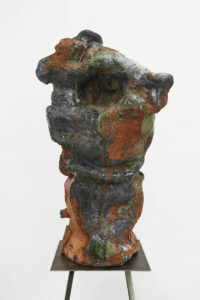 But over the past few decades this narrow view of the medium has shifted with the influence of early pioneers such as Peter Voulkos and his experimental approach to ceramic sculpture in the 1960s. His interest in imperfection and abandonment of Zen philosophy in relation to ceramic sculpture left a powerful legacy, and artists continue to explore both the potential and the limits of this medium. With the traditional view of ceramics adhering to specific rules around functional or decorative forms such as jars, bowls, and other vessels, the artists in this show subvert this intention of object making and focus on the process and the transformative nature of clay itself. In this contemporary ceramic work, the theoretical dialogue is expansive and is concerned with the medium’s own history as much as it is with post minimalist process art practices from the 1960s or performative time-based art from the 1970’s. Taking Form presents 10 ceramic works located in two separate exhibition spaces. In each piece, the forms suggest a lack of finality as though the viewer has walked into the middle of an ongoing conversation between the material, the artist, and the physical environment. 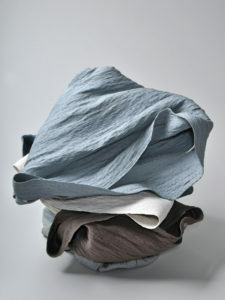 Recumbent Fold 52 by Alyson Shotz is created as if by accident, dropping the clay on to the floor and allowing gravity and the properties of the material to bring about its own shape and identity. 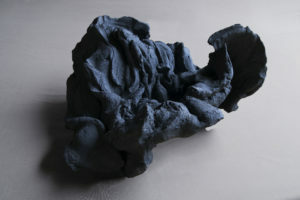 Also working in this performative and process based vein, Dutch artist Alexandra Engelfriet creates her pieces using her entire body (feet, knees, elbows, and fists) but then relinquishes control in the firing process by setting her kiln on a slant and allowing the clay to slide and slump. The preciousness associated with this material is stripped away, and instead the labored events of fabrication are made evident, particularly in the work by Cheryl Ann Thomas who creates her pieces through a series of intricate steps over an extended period of time. Her “relics” serve as a permanent record of these events. 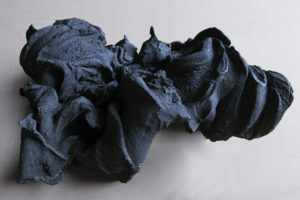 Through this exploration of the material’s potential, the work in this show also highlights limitations of the plasticity and fragility of the clay. Alwyn O’Brien is intrigued by this threshold and creates precarious forms that push the limits of structural integrity in order for ‘defects’ to occur. 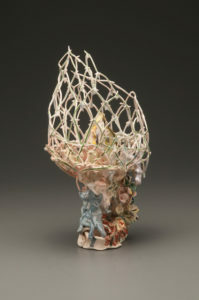 New York based ceramic artist Arlene Shechet understands and celebrates this element of chaos in art making when she says of her work, “I feel like what one is looking for in making art is the opposite of control. One is looking to have the material speak back to you and tell you what to do so that you can basically channel it. “ Shechet’s piece What Not’s imaginative biomorphic shape speaks to her ability to find unique abstract forms in the chance processes that occur with mutable materials, a process she refers to as “alchemical.” Looking at this work, it is clear why Shechet is drawn to this plastic material in her playful yet subversive approach, disrupting hierarchical divisions through this interactive process with clay. Similarly, Xavier Toubes describes his practice as “a process to discover and abandon… with chance as a partner,” and the melting formless pieces he creates reflect this relational approach. Although aesthetically distinct, both Shechet and Toubes create works that seem to have an almost uncanny animate quality and they become a living part of the surrounding environment. 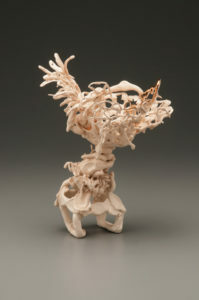 With the diverse practices represented, the exhibition provides an open-ended story for ceramics that both addresses and destabilizes its own history as a medium in the methodological sense, echoed formally by these sculptural works’ lack of finality and self conscious interrogation into their own making. 69.5" x 21" x 21"
19 1/3" x 17 3/4" x 9 1/2"
19 1/3" x 22 3/4" x 8 1/3"
33 1/5" x 22 3/4" x 11"
22" x 25" x 22"